This is the second in a series of pieces I have been working on about motion and transparency and water. 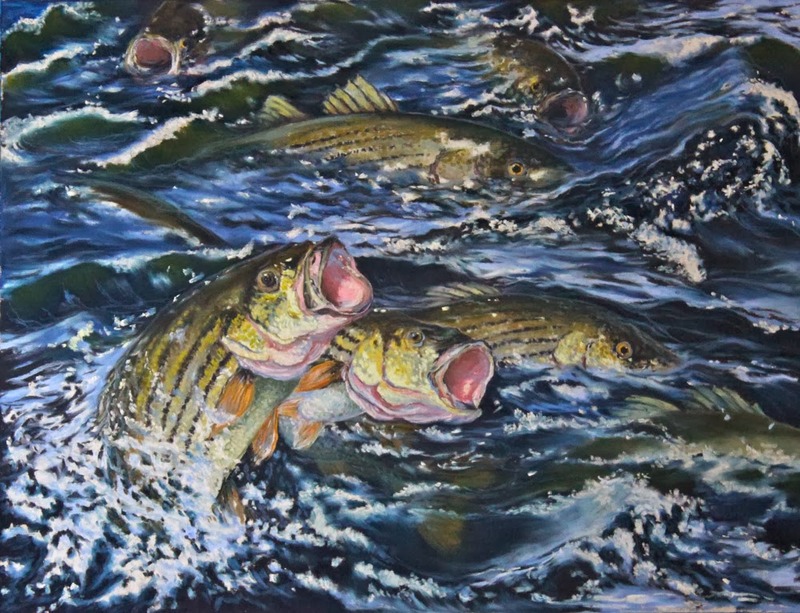 I did a series of studies for each of these paintings including a more finished study incorporating many fish and working out motion, flexibility and placement. I did several revisions before arriving at my finished work. 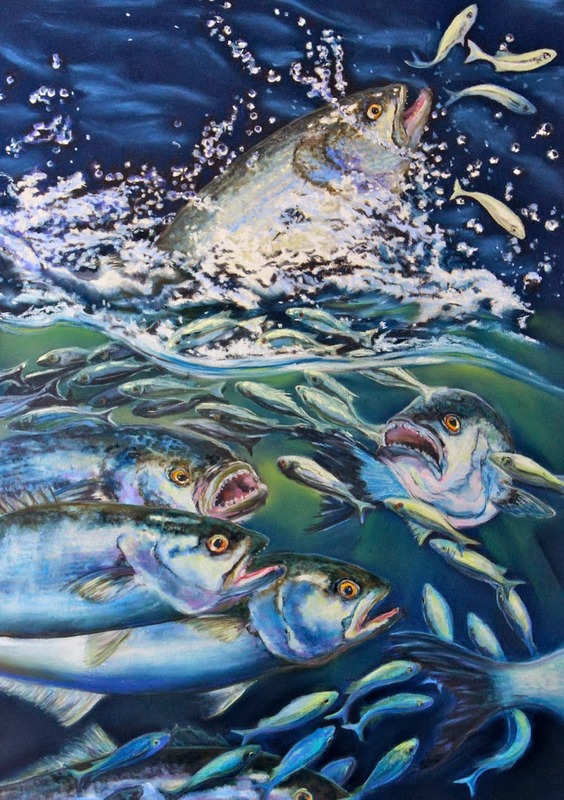 I wanted to capture the drama of bluefish feeding on the smaller bait fish both above and below the surface. I hope I convey the sense of urgency and hunger to my viewer.